Houses, roads and bridges have been ripped apart and agricultural land is completely submerged. Hundreds of thousands of people have been forced to abandon their homes and their farms and are living in makeshift shelters in temporary camps with no means of support. They urgently need shelter, food, water and sanitation assistance. 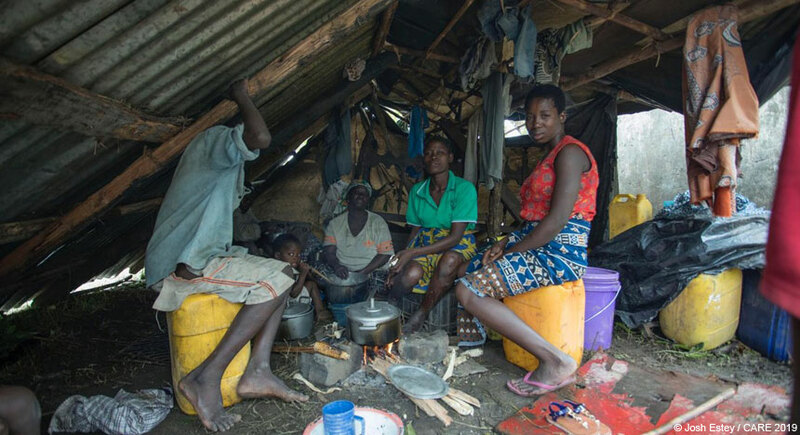 CARE is a member of the Disasters Emergency Committee and donations to the DEC Cyclone Idai Appeal will help fund the emergency response by CARE and other DEC members. CARE and other DEC members are already on the ground working with national partners to support the relief effort, delivering emergency shelter kits, food such as pulses and maize flour, water purification tablets and urgent health assistance. Thank you to the UK public for your generous support of the DEC appeal. People still need your help, right now. The immediate and primary focus of the relief effort is to save lives, but the effect of this disaster will be felt for some time. Across the three countries, shelter, water and sanitation, food, health assistance and protection are urgently needed, and support will also be required to help children continue their education, rebuild livelihoods and strengthen community resilience to better withstand future disasters. Shelter: hundreds of thousands of homes have been damaged or destroyed during the cyclone and associated flooding. People displaced from their homes may need to stay in temporary shelters and camps for a considerable time. Food and livelihoods: crops have been destroyed and livestock killed in all three countries. Flooding of farmland is particularly devastating for smallholder farmers who rely on their crops for food for their families and to generate an income from selling their produce. The devasting floods, as well as the impact of the cyclone, will have an immediate impact on the main harvest due to take place in late March, and long-term effects on food security and livelihoods. Water, sanitation and hygiene: damage to sanitation facilities and prevalence of unsafe water, due to water supply destruction and interruption, has been reported. Wells and boreholes are likely to be contaminated by floods. Health: there is an increased risk of malaria, cholera and other diarrheal diseases, and there is concern regarding the potential for a communicable disease outbreak. Education: school facilities have been highly damaged by the flooding. More than 340 classrooms are partially or totally damaged affecting more than 45,000 students in Mozambique (Zambezia, Tete and Niassa) alone. 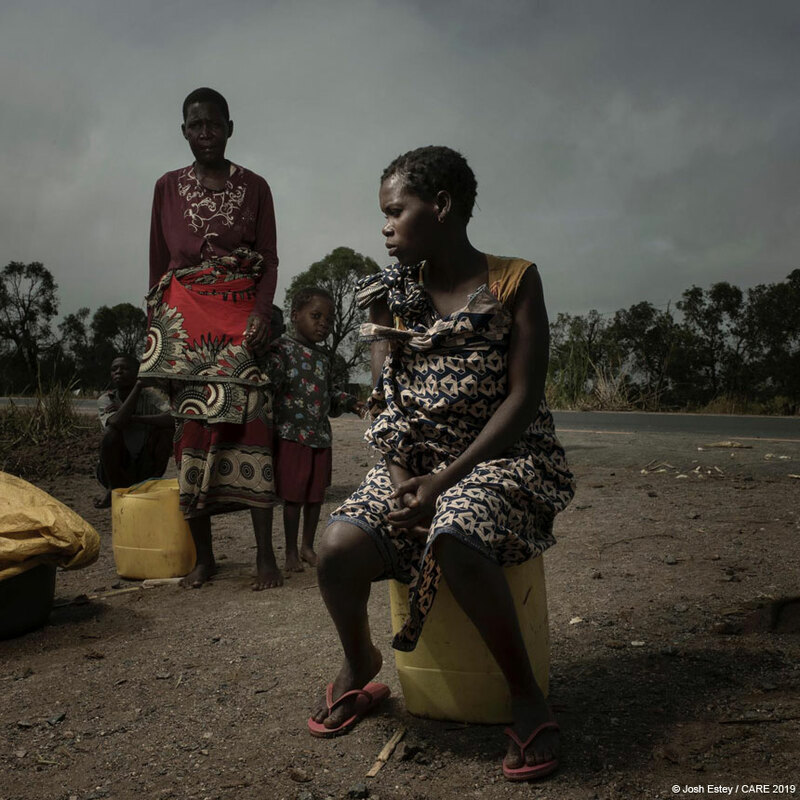 Protection: women and children face heightened protection risks, especially gender-based violence particularly if the impact of the floods and cyclone means that they have been left with precarious shelter conditions. Without adequate shelter facilities children are at risk of being separated from their families. 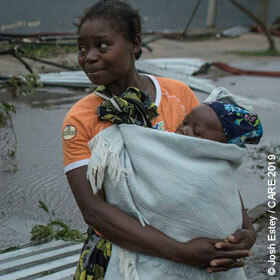 In Mozambique, CARE coordinates our emergency response through the COSACA consortium with Oxfam and Save the Children. We plan to provide immediate shelter, hygiene, safe water, and food assistance to the most vulnerable and affected communities. As a consequence of the cyclone and associated flooding, basic services including access to healthcare, education and safe water have been badly affected, due to partial or total destruction of infrastructure. The COSACA consortium aims to re-establish access to these services through the repair and reconstruction of partially destroyed schools and healthcare centres, improving access to clean water, and promoting good hygiene practices to prevent disease outbreak. COSACA will also integrate child protection programming and prioritise continuation of learning for children whose education has been disrupted following the cyclone: we aim to make sure that children can learn regardless of who they are, where they live or what is happening around them. We will help affected people to rebuild and recover by assisting people to resume farming and rebuild their agricultural livelihoods through the distribution of inputs (seeds and livestock). At least 56 people in Malawi died as a result of flash floods preceding the cyclone. These floods caused significant destruction. With the cyclone leading to more rainfall, the already inundated areas face even greater destruction and losses. CARE is working with the local authorities in Malawi to support the affected communities and we have deployed staff to assess the needs and gather information about the situation on the ground, to ensure our response is effective and addresses people’s needs. It is likely that people displaced from their homes will remain in temporary settlements for some time. Shelter materials and support will be required. In Zimbabwe, the storm caused high winds and heavy rainfall in the east of the country, causing rivers to overflow. At least 98 deaths have been reported so far and hundreds are still missing. There has been flash flooding, landslides and destruction of livelihoods and properties. 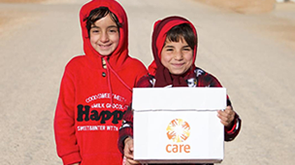 CARE is assessing the situation in order to respond based on identified needs and in coordination with other aid agencies. Unequal power relations, gender inequalities and discrimination mean that women and girls are often the hardest hit during a crisis and overall take longer to recover. During times of crisis women’s access to, or control over, critical resources worsens, and can lead to exclusion from claiming basic services and rights. As a result, women’s and girls’ vulnerability increases and undermines their ability to cope with and recover from the impacts of a disaster. CARE will be ensuring that our emergency response is gender-sensitive. Our teams will be conducting a Rapid Gender Analysis to gather information about the different needs, capacities and coping strategies of women, men, boys and girls in the specific circumstances following Cyclone Idai. As women and girls are the most vulnerable, where appropriate we will focus on addressing the specific needs of women and girls, for example by ensuring that women and girls have safe access to water and sanitation, and that there is adequate lighting around latrines in temporary camps for displaced people to reduce risks of sexual harassment and violence.